Instead of overcoming lengthy resupply trips for deep space exploration, NASA plans to eliminate them through recycling, reusing, and 3D printing. 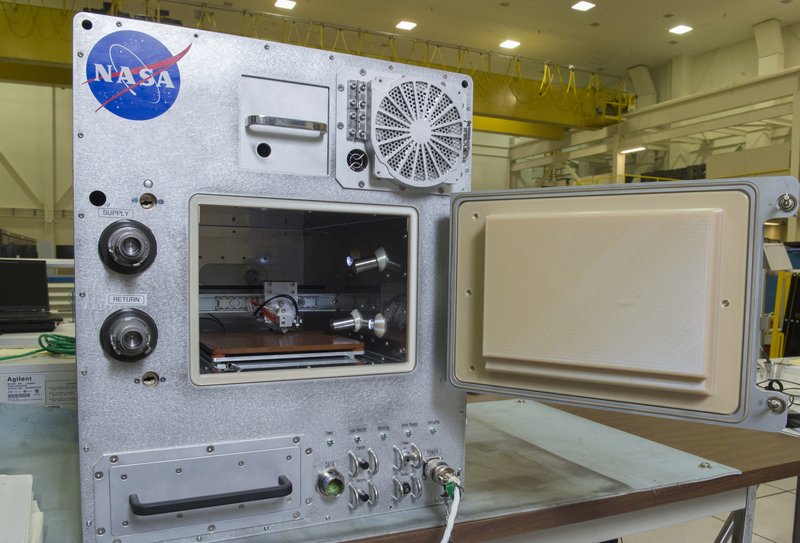 Since 2014, NASA has been testing and developing their additive manufacturing capability in space on the International Space Station with the goal of manufacturing critical spares, tools, and replacement parts in place. This need becomes even more acute as resupply transit times for manned space expeditions to Mars and beyond become longer, more expensive, and with less frequency. 3D printing only provides the capability to produce the requisite items, still requiring raw materials or feedstock as an input. “I think we’re making history by for the first time ever being able to make what we need when we need it in space and even though it may sound a little like science fiction we’re actually able to email our hardware to space instead of launching it – kind of cool,” said Werkheiser. I tend to agree. It’s not just the idea of this being done in space that’s cool, it’s also the thought that “space junk” can become something useful. A recent study reports as of 2015, we’ve created nearly 7 billion tons of plastic waste on the earth with 79% ending up in the environment or landfills. It would be a shame to export this trend to other worlds. What are your thoughts about 3D printing in space? Given the opportunity, would you volunteer to be one of the first manufacturers in space? Tell us about your quest for unconventional knowledge and what it could mean for the future of your products or companies. Share your thoughts in the comments section below and don’t forget to follow us on your favorite social media channel.